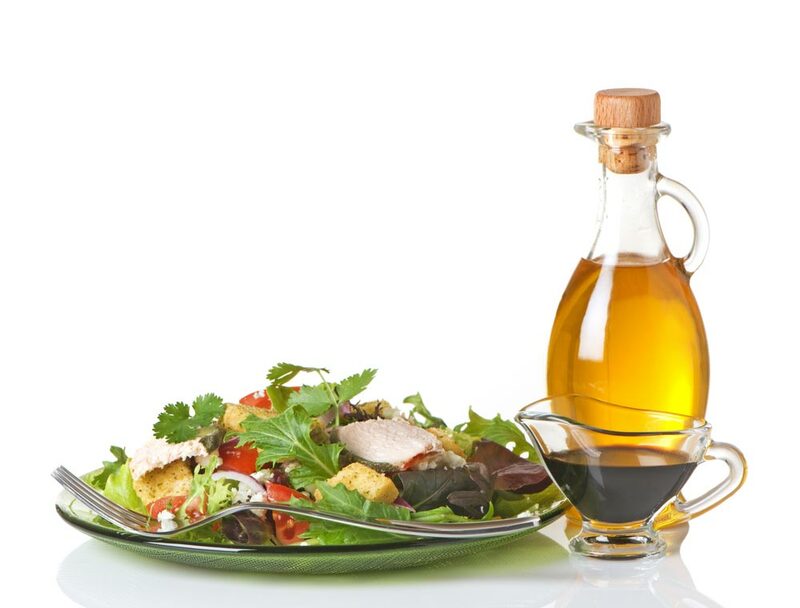 Balsamic vinegar is a fantastic ingredient that originates in Italy and has been around since the Middle Ages. This recipe is a great way to use balsamic in cooking; rather than restricting its use to salad dressings. Recommended by our chefs from our Italian cooking holidays, this authentic balsamic chicken salad recipe is perfect for a delicious lunch or light dinner. The better quality the balsamic the better as it gives the chicken a wonderful flavour – give it a go! 1. In a bowl add 2 of the chopped garlic cloves, the thyme, 4 tablespoons of olive oil and mix well. 2. Add the chick to the bowl and coat well in the mixture. Heat up a griddle pan and cook the chicken for 1 and a half minutes each side. 3. Slice the ciabatta in half and then cut lengthways to give you four pieces. Rub the ciabatta with garlic and sprinkle with olive oil. Add to the grill next to the chicken to toast. 4. Chop up the lettuce, half the tomatoes and add to a bowl with the soy sauce, a glug of olive oil and 2 tablespoons of balsamic. Season and mix well. 5. Remove the ciabatta from the griddle and place on the plates next to the salad. 6. Add a splash of balsamic to the chicken on the griddle pan to deglaze the griddle. When the chicken is well coated in balsamic, take off the griddle and place on the salad. 7. Serve with a grating of parmesan on each salad. Enjoyed this dish? Why not come up with your own dish that celebrates balsamic vinegar and enter our competition? For those inspired or in need of a little help, why not check out our cooking holidays to Italy or contact our experienced team to find out more – our Italian chefs are great at teaching guests how to use Italian ingredients to create authentic Italian food!